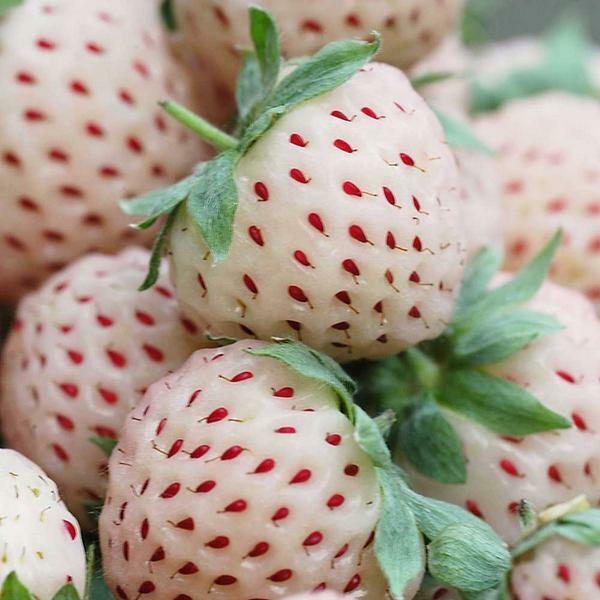 The pineberry is real, although they aren't crosses between pineapples and strawberries (despite some misleading headlines to that effect). The pineberry first emerged, or re-emerged, in 2010 (on 1 April, as a matter of fact, leading some cynics to conclude that they were an elaborate hoax) in United Kingdom markets. In fact, the specific strawberry variety whose genetics contribute to the striking appearance of the pineberry was “rescued” by a group of Dutch farmers. They discovered the source material in France. They did not find and rescue the pineberry from extinction in the wilds of Chile, as some have claimed. After six years of plant selection and cultivation, the plant vigor and quality of the pineberry plants was improved, and the decision to begin growing them for commercial production was made. Weekend's food editor, Bob Granleese, never one to hold back, was not a fan: "It smells like a strawberry." Bite. "It tastes like ... water." Pause. "With sweetener in it." Pause. "It's disgusting." I went next, immediately pulling a lemon sucking face at the sharpness of the albino fruit which I can only describe as "nippy". Jay Rayner was similarly unimpressed: "Basically, it's an unripe strawberry. Just because it can be sold doesn't mean it should". And devoted food lover Rachel Dixon was quite taken aback: "What the hell? It's a raspberry. No. Strawberry." Nibble. "Um." Pause. Grimace. "Whoa". Pause. "So it's some kind of freakish strawberry that doesn't taste very nice." Not much endorsement so far. Pineberries' growing season is about five weeks long, which further limits their commercial viability. However, if you feel a real need for a pineberry but aren't anywhere near a market that carries them, you can order them online or grow your own.